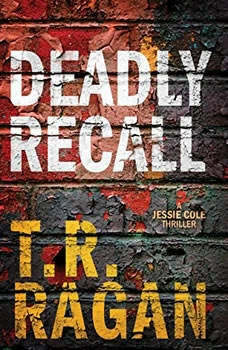 PI Jessie Cole is about to discover that there’s no revenge too wicked as New York Times bestselling author T.R. Ragan’s gripping series continues.When you search for the missing, there’s no telling what you’ll find. PI Jessie Cole learned that painful truth firsthand when her sister disappeared. Now a new case will test Jessie and Ben once again.Owen Shepard, the public face of one of the country’s biggest health insurance companies, has become the target of a vengeful father. The man blames Shepard for his child’s death and plans to make the CEO know what it’s like to live with a broken heart—and watch others die. After killing two employees, the desperate father kidnaps Shepard’s daughter. Tasked with finding her, Jessie and crime reporter Ben Morrison are running out of time to save her.Meanwhile, Ben is still seeking insight into the man he used to be before a car crash erased his memories. And each discovery is leading Jessie and him down a frightening road. What they find could scar both of them forever.